In the recent exercise, state governments, tasked with verifying 54,929 manual scavengers identified across 170 select districts in stage one of the counting process, have confirmed involvement of only 25,015 people in the job in the final verification stage. As per data, only Maharashtra has verified and acknowledged the presence of all 5,638 people who registered themselves as manual scavengers during the first stage of counting. 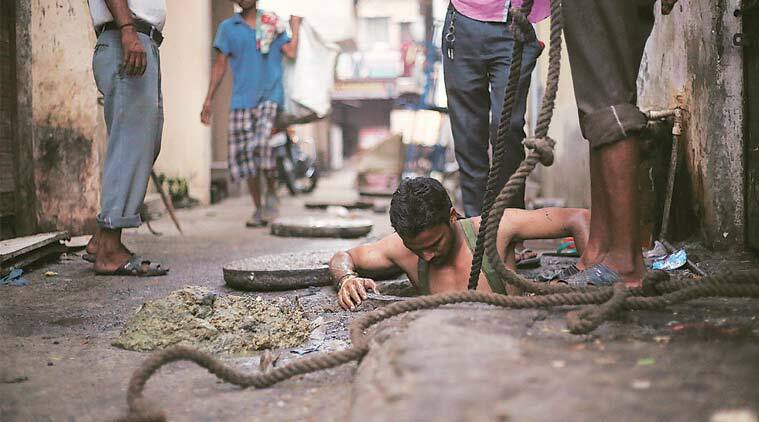 State governments have denied the existence of more than half the number of people identified as being involved in manual scavenging in the course of a Central government survey to arrive at an official count of people engaged in this long-outlawed practice. In the recent exercise, state governments, tasked with verifying 54,929 manual scavengers identified across 170 select districts in stage one of the counting process, have confirmed the involvement of only 25,015 people in the job in the final verification stage. 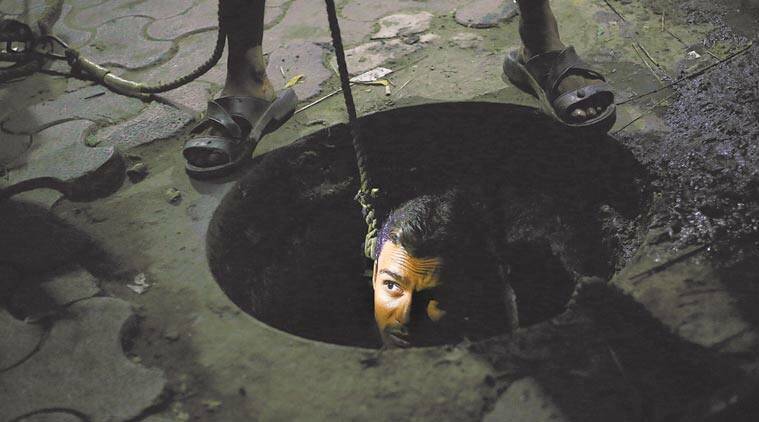 As per official data, states such as Bihar, Haryana and Telangana denied having even a single person involved in manual scavenging —- 846, 1,221, and 288 people, respectively, had come forward in the chosen districts during stage one, declaring that they have been engaged in the practice. Madhya Pradesh, Uttar Pradesh, Rajasthan, Tamil Nadu and Punjab confirmed only a fraction of the numbers that were enrolled during the first phase of counting. In MP, where 8,275 people were enrolled, almost 70 per cent were struck off the rolls by the state government and the number was brought down to 1,447. In UP, which at 18,913 people registered the most number involved in cleaning excreta manually, the government brought the figure down to 7,052. The survey was commissioned in November 2017 following a NITI Aayog meeting to address the issue of official under-counting of manual scavengers. An inter-ministerial task force was set up to conduct a survey on a mission mode through the National Safai Karamchari Finance and Development Corporation, with help from civil society organisations such as Safai Karmachari Andolan (SKA) and Rashtriya Garima Abhiyan for field-level headcount. Till date, there is no definite data on the total number of people engaged in manual scavenging in India, which persists even after being outlawed 25 years ago. With even the Swachh Bharat Mission not having any component to ensure elimination of this caste-based dehumanising practice, an inter-ministerial committee was tasked with collating data on the prevalence of the practice. However, in keeping with a long-standing trend, denial of the very existence of the manual scavenging by both the states and the Centre continues, as is evident in the gross under-counting of their numbers at every level. Wilson pointed out that a recent independent survey by SKA in Bihar, which denied existence of manual scavenging in the state, showed at least 145 people engaged in the practice in just two districts. In addition to the Centre’s survey being limited to just under a fourth of the total districts in India, it also excludes those involved in hazardous forms of manual scavenging such as sewer and septic tank cleaning. The count includes only workers involved in cleaning dry latrines, open drains where excreta is disposed, and single pit toilets, mainly in rural india. As per data, only Maharashtra has verified and acknowledged the presence of all 5,638 people who registered themselves as manual scavengers during the first stage of counting. Andhra Pradesh, Jharkhand, and Karnataka have confirmed most of the people who registered themselves, while every other state grossly under-reported the numbers. No survey could be conducted in the seven selected districts of Jammu and Kashmir. A government official said an earlier survey identified 13,000 people engaged in manual scavenging. “The present survey, even if it excludes sewer and septic tank cleaners is an improvement since an additional 25,015 people have been counted. The total now adds up to about 38,000,” the official said. The Socio Economic Caste Census (2011) had pointed to existence of at least one person each from 1.8 lakh households in rural India being engaged in manually cleaning excreta from dry latrines, open drains, and single pit toilets.